American writer Magdalene Visaggio teams up with Singaporean cartoonist Sonny Liew, fresh from his Eisner Awards hat trick for The Art Of Charlie Chan Hock Chye (2015), for this existentialist mini-series. It is a sensitive take on mental health issues on a superpowered scale. Once an over-achieving operative for secret agency Alpha 13, Caroline gained superpowers when she threw herself into a magic ziggurat to thwart her arch-nemesis Madame Atom. 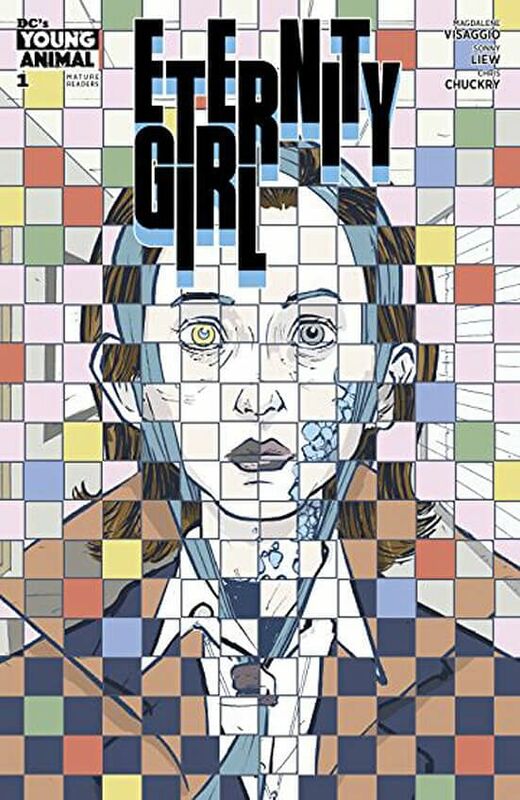 Eternity Girl is a trippy, prismatic work of art that zips through the multiverse. German philosopher Gottfried Wilhelm Leibniz gets a look in, as does Irish poet W. B. Yeats. It also has its share of fun characters, from Lord Crash, a cosmic DJ, to the Never Man, whose power is making things never happen. "It's like you get off on being miserable," snaps her best friend Dani at one point. Dani, who has an understated but poignant back-story of her own, is the person who has done the most to help Caroline, yet in this moment, her frustration at her friend is palpable, as is Caroline's hurt at her outburst. Liew's art, with colours by Chuckry, is spectacular and the story's multiversal nature brings his chameleonic skills to the fore. Some pages are so rich in detail that it would be a disservice to devour them at normal speed. If you liked this, read: The League Of Extraordinary Gentlemen: Century by Alan Moore and Kevin O'Neill (Top Shelf Productions, 2009 - 2012, $30.67, Books Kinokuniya), which follows a group of immortal characters - including Mina Harker from Bram Stoker's Dracula and Virginia Woolf's gender-bending Orlando - through the 20th century as they try to stop the creation of a "Moonchild" who will cause Armageddon.